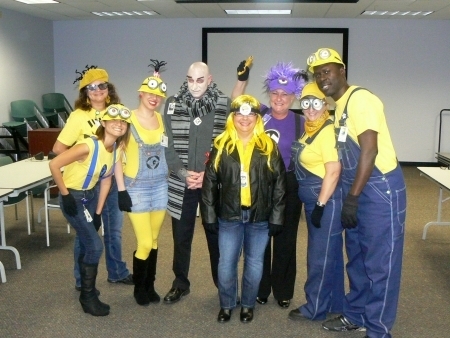 The Children’s Diagnostic & Treatment Center (CDTC) is a not-for-profit organization that serves more than 11,000 children with special health care needs in Broward County. CDTC’s mission is to promote the optimal health and well-being of children with special health care needs by providing comprehensive prevention, intervention and treatment services within a medical home environment. CDTC is a nationally recognized “Center of Excellence,” offering a unique system of care for infants, children and youth with chronic illnesses, disabilities and developmental delays. All medical care and social services are provided regardless of the families’ ability to pay. 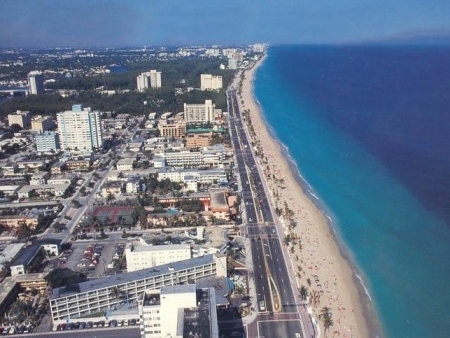 CDTC is located in Fort Lauderdale, FL just 2 blocks away from Broward Health Medical Center. 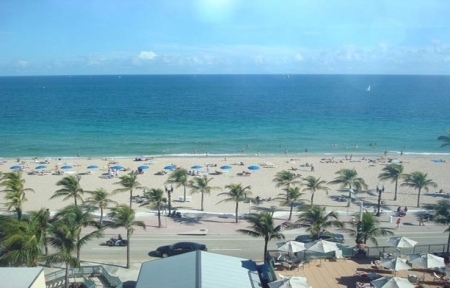 In addition, we are just minutes from beautiful Fort Lauderdale Beach! Ana Puga, MD is the site PI. She is a Pediatric Infectious Disease Specialist with 20 years of experience in HIV medicine and pediatric infectious diseases. Dr. Puga has been with CDTC for 18 years and PHACS for 7 years. She also oversees medical care for our CFAP program. Under her leadership, both the CFAP and Research programs have served countless children and families throughout in the South Florida area. Dr. Puga is a native Floridian from Miami. Amy Inman, BS is the Research Program Manager. Amy oversees all personnel, contracts, budgets and regulatory affairs for the program. Amy has been with CDTC over 20 years, with PHACS 7 years and is originally from Grand Rapids, Michigan. Dia Cooley, MEd, CCRP is the SMARTT Coordinator. In addition, Dia co-facilitates our Teen Talk support group for HIV positive adolescents. Dia has been with CDTC and PHACS for 5 years. He is a native of Raleigh, NC. Sandra Navarro, BA is the AMP Coordinator. Sandra has been with CDTC and PHACS for 6 years. She was born in Peru and grew up in Hartford, Connecticut. Patricia “Patti” Garvie, PhD is our site Psychologist and our site Investigator for the AMP Memory sub-study. She is involved in many PHACS Working/Writing groups and recently published her first PHACS manuscript as lead author. Dr. Garvie performs all site ND testing for both AMP and SMARTT. With 17 years of HIV experience, she has been with CDTC for 1.5 years and with the PHACS network from the beginning. Originally from the San Francisco Bay area, Dr. Garvie’s education, training, and career have taken her to Seattle and the throughout the Southeastern US. James Blood, MSW is our site Data Manager and is also a Study Coordinator. He has been with CDTC for 20 years and currently facilitates multiple support groups for HIV positive youth. Jamie is originally from Port Huron, Michigan. Exzavia Pearson is our Research CAB Chair. She also works in the CFAP program as a Lead Outreach Specialist with TOPWA (Target Outreach for Pregnancy Women Act). She also is an active participant with the Health Education and Communication committee. Exzavia has been with CDTC for 12 years and PHACS for 2 years. She is a native Floridian from Fort Lauderdale. Tamara ‘Sam” Kuryla is the Emeritus Chair for ICAB/IMPAACT, a former CAB Chair and current CAB member. Sam has been with CDTC for 14 years and with PHACS for 7 years. She is originally from Washington, DC. Our Community Advisory Board participants have contributed a great deal to the research program. Our cab meetings have provided a supportive environment in which many participants have shared personal stories resulting in the development of strong personal ties. One word to describe our CAB would be resilient. Team players, cohesive, caring and professional are a few words that describe our staff. Planning ahead is the best tip for making visits run smoothly. When a visit occurs at our site, we use a team approach to ensure the visit runs smoothly. Each research staff member works collaboratively to help when there is a study visit. Each study visit is planned around our participants’ busy schedules. Upon arriving at the center for a visit, our study participants are treated like VIPs; they receive personalized care from the moment they walk into our center until the time they leave. For example, early morning fasting visits will include breakfast to order. We also provide childcare for families that bring along siblings. Each research team member participates in the process to ensure the study visit experience is as pleasant as possible. In addition, at the end of the visit, each participant is verbally recognized for their contributions and the child receives a small gift. One of our SMARTT moms has always been an active participant in our studies. To further assist our site, this mom has volunteered to take the lead with our Research CAB. She mobilizes the CAB participants, plans and facilitates the meetings. She is an exceptional advocate for the study participants and a great asset to CDTC! In addition, one of our AMP moms has taken the lead with participating on the PHACS CAB conference calls and attends the PHACS network meetings for our site. She was our original CAB Chair and has trained and mentored our current CAB Chair. During this period, a few activities our site will undertake include: Summer camp in Texas, Electronic Health Record implementation/training, FACE study training (a new NIH R01 study collaboration), applying for Patient-Centered Medical Home certification, a Mother/baby photo shoot, Mother’s Day Brunch, Youth Leadership Camp, Dinner with the Doctor fundraiser and an Easter Bunny give-way.